Sweden is the largest and most populated of the Scandinavian countries, being larger than Germany and almost as big as Spain. The Swedish Empire controlled much of Scandinavia during the 17th century,	and Sweden only granted Norway its independence in 1905. 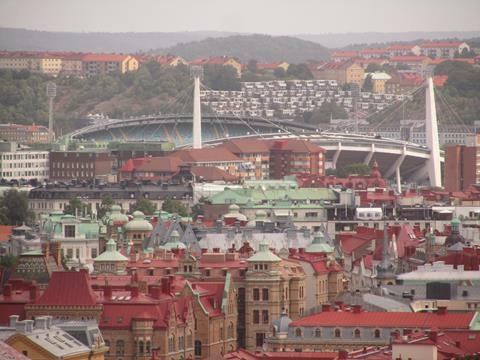 Gothenburg is Sweden's second city, an important	economic and industrial centre, with a large port and the headquarters of Volvo motor cars. We spent two nights in Gothenburg as part of our summer Scandinavian tour in 2013, starting and finishing in Copenhagen. 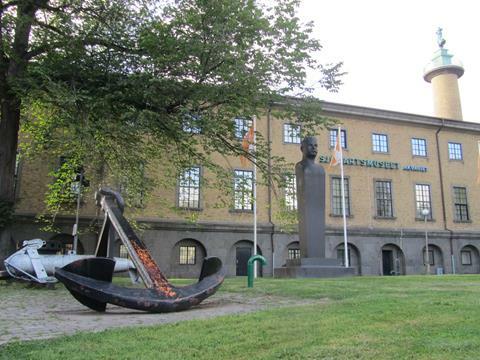 The two cities are directly connected by train in under four hours, across the	�resund Bridge which first linked Sweden and Denmark by road and rail in 2000. This was my first visit to Sweden but I shall certainly be back! 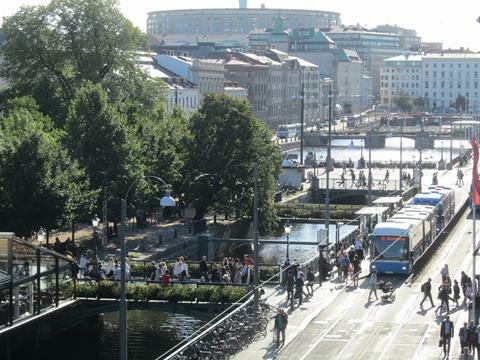 The view from our hotel room of a sunny afternoon in Gothenburg, looking along the canal that encircles	the city centre. 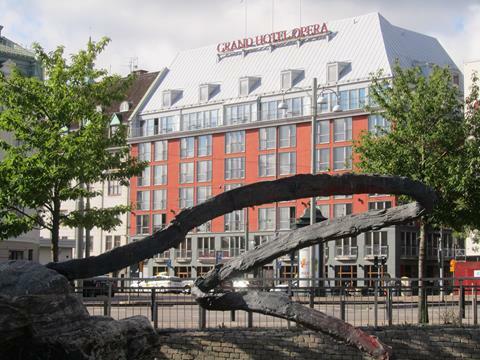 Our hotel, the Grand Hotel Opera, was somewhat more spacious and also much better value than the cupboard	we had been staying in in Copenhagen. I'd heard that Denmark was expensive, but was pleasantly surprised at the reasonable prices in Sweden. 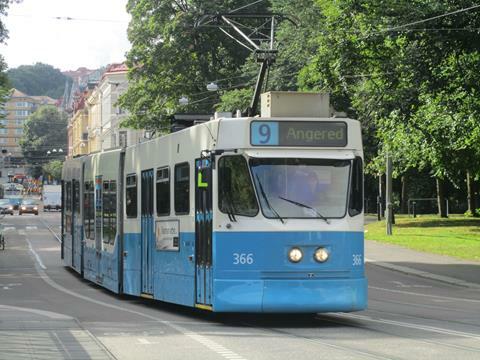 Gothenburg has a tram network that is the envy of Europe, the most extensive in Scandinavia stretching	over one hundred kilometres about the city. It should be the envy of Edinburgh, but no reason to be Angered about that, surely? 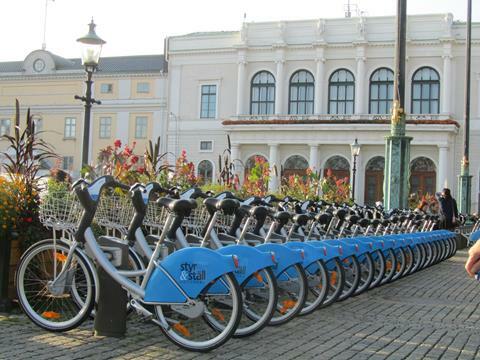 Many European cities now have a public access bike rental scheme, such as London's so-called "Boris Bikes", and here the Styr & St�ll, or perhaps "Bjorn Bikes"? Great for getting lazy tourists active. 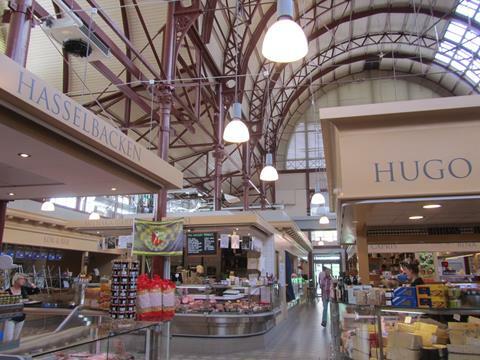 The Market Hall has come a long way since its heydey of bartering and butchery, and is as clean and	gentrified as could be. Plenty of nice little snackettes available to try. 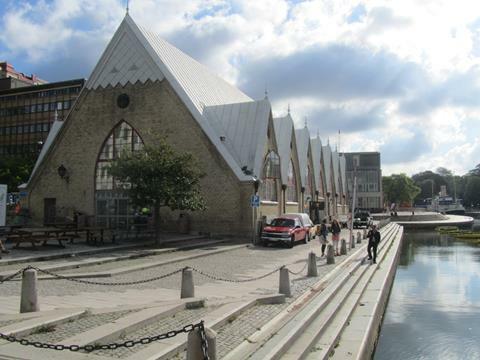 Nearby is Feskekorka, the Fish Church, specialising in all things piscine. Despite its appearance,	it never was a church and was purpose built as the House of Fish. 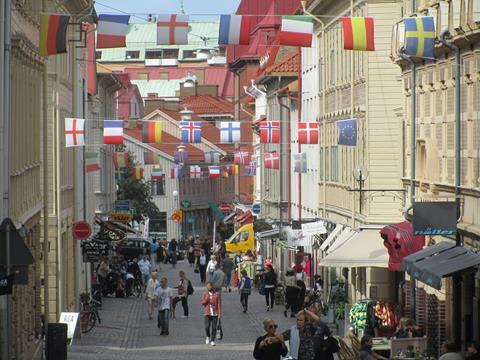 The most picturesque part of old Gothenburg is Haga, with its wooden houses and bijou shops. 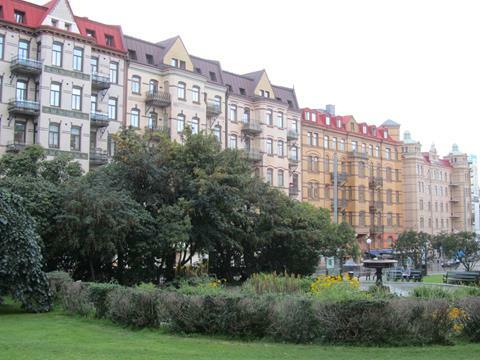 This is	looking down Nygata, through the centre of Haga. 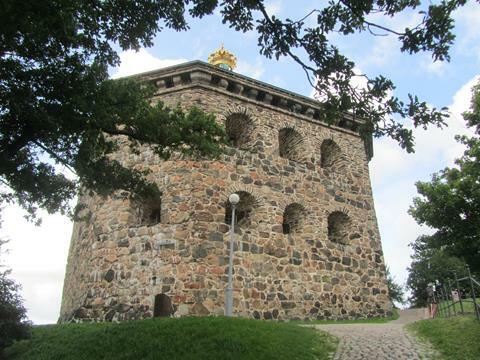 Standing over Haga is the fortified round tower Skansen Kronan, built in the late 1600s outside the	city walls. For a small fee you can step through the enormously thick walls and climb up inside to the	rooms still bristling with cannons. It can also be rented for functions. 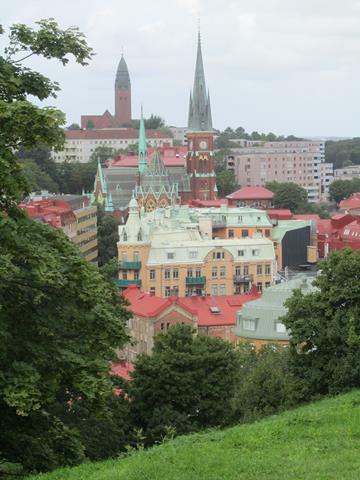 A view of Gothenburg from the Skansen Kronan, with Oscar Fredrik's Church and Masthugget Church in the far distance. Ullevi Stadium, Gothenburg's finest and the hallowed ground upon which Aberdeen's finest did battle with Real Madrid, to emerge victorious with the 1983 Cupwinners' Cup. 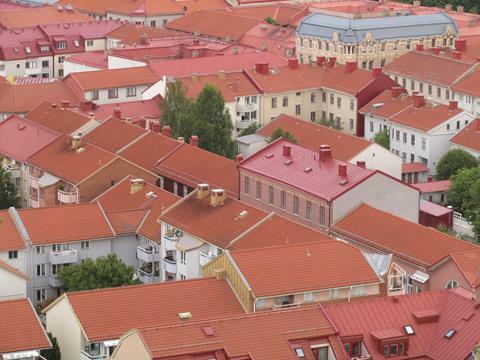 A view from Skansen Crown across the red, red rooftops of Gothenburg. Being a place so closely associated with the sea, it was no surprise to find an excellent aquarium in	Gothenburg. Its aged exterior belies the quality of fishy displays within. 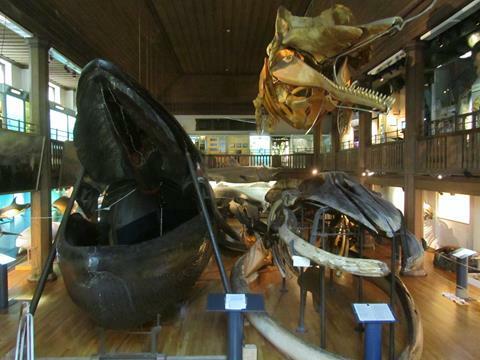 Keeping to the theme of fish, the Natural History Museum of Gothenburg sports the world's only stuffed	blue whale, set up with an unnaturally hinged mouth and access for top-hatted fellows to dine in	style inside. Whale-stuffing, whilst frowned upon these days, was quite the mark of the eclectic collector	in the late 1800s. Fancy apartment buildings on Vasaplatsen, near Gothenburg University. 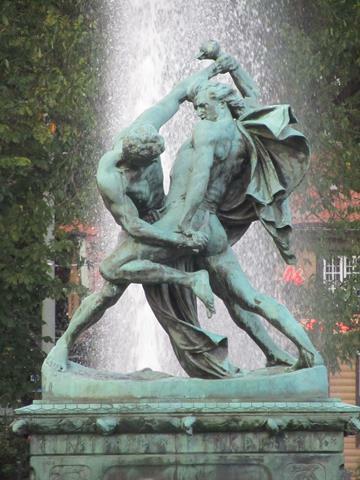 This dramatic statue caught my eye as we wandered back to the hotel, it is of two knife-wielding fighters	bound together by a belt, and is called B�ltesp�nnarna. I think the fountain behind adds to its	raw feeling. 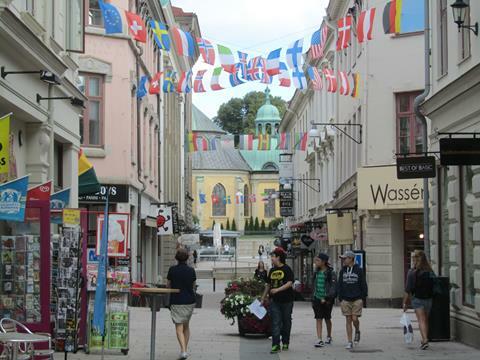 Wandering the shops on Korsgaten, on the island that makes up the old centre of the city. 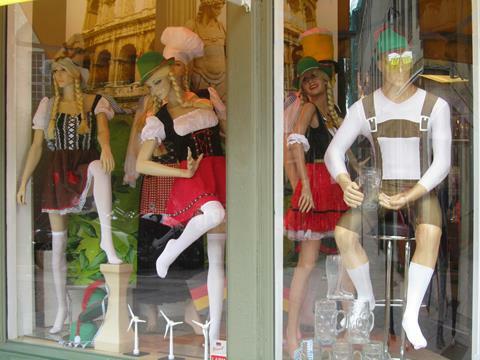 Of course, in Sweden they all dress like this. Just like we all wear kilts in Scotland. Window shopping	on Kyrkogatan. 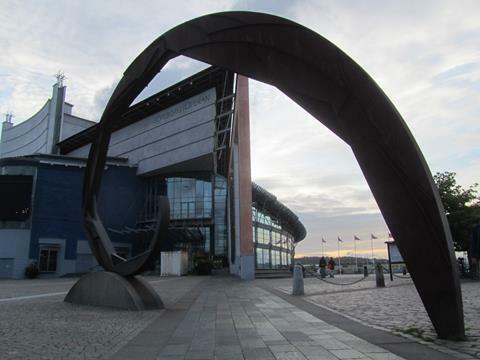 Down by the harbour, Gothenburg's Opera House stands in pride of place. It is also used for musical	productions and ballet. Barken Viking was the largest sailing ship to be built in Scandinavia, and first took to the seas in	1906. 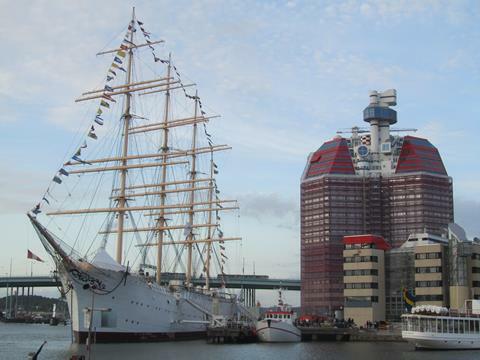 She is seen here with Lilla Bommen, otherwise known as "The Lipstick" building in the background. We sat by the harbour and had a beer as the sun went down.